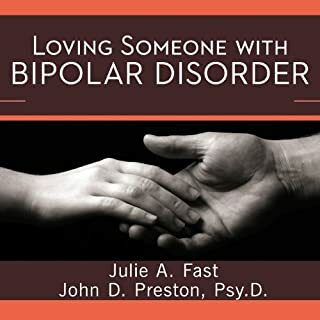 An essential resource designed to help partners of people with bipolar disorder mend strained relationships, negotiate episodic crises, survive the turbulence manic behavior may cause, and more. Bipolar is one of the most commonly diagnosed emotional/psychiatric condition and diagnosis tends to come when one is in one's late teens or early 20s. And yet almost nothing has been written about it from eye level and a young person's perspective. 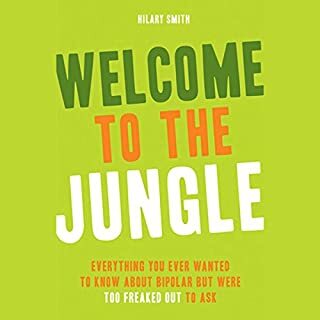 Welcome to the Jungle fills that gap with its upfront, empowering approach to the challenges of being diagnosed bipolar. Both humorous and immensely honest, it offers a true "in the trenches" perspective young listeners will trust. Perfect look at Bipolar- with a bunch of FUNNY! When bipolar disorder afflicts the person you love, you suffer too. How have other couples learned to manage the relationship strains caused by this illness? What can you do to provide your partner with truly helpful nurturance and support? No one cares more deeply about these questions than Dr. Cynthia Last, a highly regarded therapist/researcher who also has bipolar disorder. Wendy K. Williamson shows the effects of bipolar disorder on the mind, body and soul of those who suffer from it. 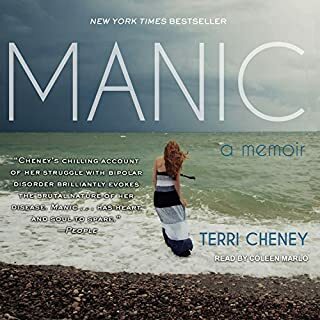 Despite Wendy's struggles, this is a not a book that brings the listener down, rather a road map for wellness and a vastly informative, yet entertaining, guided tour of bipolar disorder for those who don't understand it. With her perceptive self-awareness, the author is equal parts comedienne and educator, and she tells the unbelievable highs and lows of her story with a clear, grounded candor. The primary goal of Med Free Bipolar is to show that treating bipolar effectively through natural means is not only possible, but highly likely. The Med Free Method is designed as a fourth treatment option over being medicated, unmedicated, or self-medicated, written by a peer who has been through it and backed by scientifically-proven, field-tested methods. For anybody familiar with the condition known as bipolar 2, you will probably know how difficult and distressing the condition can be. Bipolar 2 Disorder is a condition most commonly characterized by at least one hypomanic (happy) episode and one major depressive episode. Firstly, what is bipolar 2? Bipolar 2 disorder, is a type of mental illness that is very similar to bipolar 1 disorder. Typically, people suffering from bipolar 2 will experience severe mood swings and changes, alternating from periods of extreme lows, to highs over time. The Other Side of Bipolar offers hope and a new perspective of mental illness that can help millions of people. A unique combination of memoir and self-help book, it invites us to reexamine our definitions of mental illness as a debilitating disease and asks us to consider another possibility. It encourages us to go beyond any diagnosis or label to start exploring the uniqueness and beauty of individuality. Embedded throughout this poetic story are examples of tools and techniques you can apply immediately to begin to create a sense of peace and possibility in your life. If you find it difficult to manage your mood swings or if you find it hard to cope with your crushing lows and your off-the-chart highs that come with the condition, you’re positively at the right place. 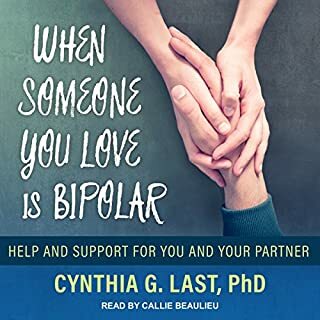 This audiobook brings simple bipolar-disorder self-help information, techniques, and strategies that can do miracles for you. "I was frustrated," says Erin Callinan about the genesis of her critically-acclaimed memoir Beautifully Bipolar. "I could no longer sit back while conversation surrounding mental illness was negative, scary, insulting, and inaccurate. I have a voice, and I have a story. I felt a passion, and I went with it. I just started writing: no judgments, limits, or rules." Her purpose: To challenge people to address and remove the stigma associated with mental illness. Knowledge is power, and grasping the basics of bipolar disorder can give you the power you need to detect it, accept it, and own the responsibility for treatment and lifelong disease management. With its three-phase approach, Owning Bipolar can help you and your loved ones become experts at an illness that has called the shots in your life for too long. Now it's time for you to take control. This book is a vital companion to help listeners understand, treat, and live successfully with bipolar disorder. It’s a calm explanation and solution discussion! More than 30 years ago, Dr. Ronald R. Fieve gained national recognition for his pioneering treatment of what was then known as "manic-depression". Since then, he has focused on patients with mild bipolarity, also known as Bipolar II. With the right treatment, these patients can turn their illness into an asset. In this groundbreaking book, Dr. Fieve presents a highly successful program that allows Bipolar II patients to harness the creativity and energy of their hypomanic "highs" while minimizing the potentially devastating "lows" of depression. You may not know this but Bipolar Type 2 is one of the most common mental disorders, which people suffer from these days. Due to symptoms being less severe, many refer to it as "soft bipolar". Yet, even though the symptoms associated with type 2 are less intense, it can still have a detrimental effect on the quality of life for the sufferer. Since the publication of its first edition, The Bipolar Child has helped many thousands of families get to the root cause of their children's behaviors and symptoms and find what they need to know. The Papoloses comprehensively detail the diagnosis, explain how to find good treatment and medications, and advise parents about ways to advocate effectively for their children in school. 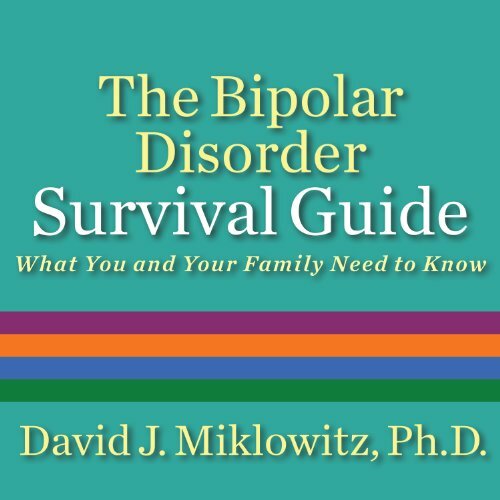 Trusted authority Dr. David J. Miklowitz offers straight talk, true stories, and proven strategies that can help you achieve greater balance and free yourself from out-of-control moods. The updated second edition of this best-selling guide has the latest facts on medications and therapy, an expanded discussion of parenting issues for bipolar adults, and a new chapter, "For Women Only". Very helpful book for patients & their families. Detailed and helpful resource for anyone attempting to live with bipolar disorder. Easy to understand. I can't turn back time but I spent the last 4 years on the wrong medications (antidepressants) and lost even more years of work because of undiagnosed bipolar. Not even going to talk about the internal suffering and the interpersonal and familial loneliness. Maybe it wasn't the right time yet to have the clarity and hindsight to see that, as I listen to this wonderful book, I had met all the criteria my whole life, in all of my life situations. It is SO biological; it is SO not a character or moral flaw. We have suffered so much for this disorder. But now I am so thankful I have clarity on my life now. No more cracking the code. I didn't ask for this. And I can manage it now. 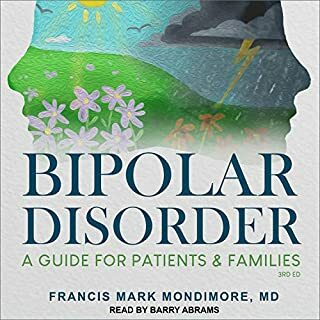 Read or listen to this book if you think you may have bipolar disorder or have been diagnosed with major depression and are still suffering in confusion. You will feel so validated. 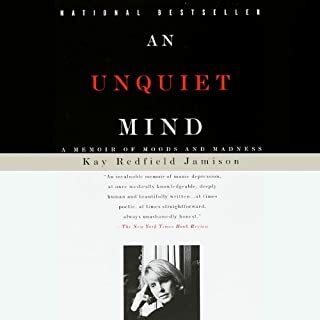 I have read An unquiet mind by Jamison and didn't think it was that easy to follow. Jamison and Miklowitz are psychiatrist, they went to 16 years of college, med school, and post-med... they are very bright and have trouble coming down to the rest of our level. Miklowitz book is a little dry and void of emotion. Yet it is insightful and he is quite diligent in explaining the world of Bipolar Disorder. I’ve struggled with bipolar disorder for 8 years. I didn’t seek treatment till year 8. I ignored the initial diagnosis but now that I’ve accepted it I’ve started to accept and seek any information I could find on it. This book was extremely helpful in understanding myself and my struggles where this illness is concerned. I identified with a lot in this book. I also liked the narration. Clear and easy to understand and well paced. In for a long ride. Very detailed and in depth book on this disorder. If you are facing it. You will get the facts here. No candy coating here. Helped a lot to understand the disorder so I can help my son. This book is very informative and helps shed light on the condition. It is very helpful. Narrator had a good pace, has tons of info for coping and other stuff, definitely reccomend. I’m in the process of being diagnosed with bipolar disorder, and this book has really helped me to not only accept my possible diagnosis, but, also to help me understand the illness. The future is not as scary as it once was before listening to this book. I would highly recommend this book to anyone looking for information on bipolar disorder. The support for Bipolar in the UK is very different to the US in respect of information. This book gave examples of patient experience that I could relate to and tempered the very frightening diagnosis. Its a must for anyone needing guidance for themselves or loved ones to enable you to drive the illness rather than the other way round. a life saver. almost literally! a life saver, I don't get time to read so the audiobook version was spot on. Helpful and practical. well organized topics and very well rounded for informing and giving hope for those with bipolar and friends and family. Thank you.